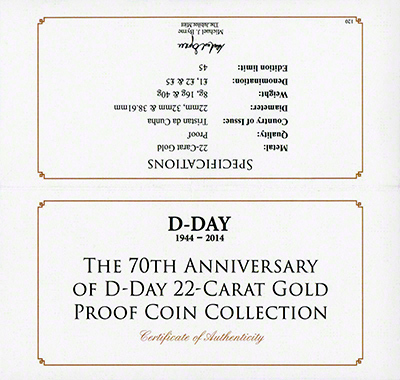 The Tristan Da Cunha (TDC) coin set issued in 2014, from The Jubilee Mint, is shown to commeorate the D-Day landings on 6th June 1944; the first day of the invasion of Normandy. 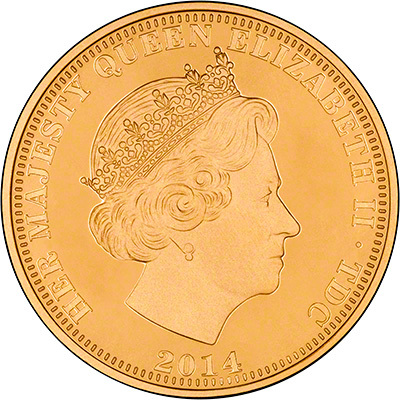 The gold coins in the set are �5, �2 and �1. Each showing the same obverse and reverse. 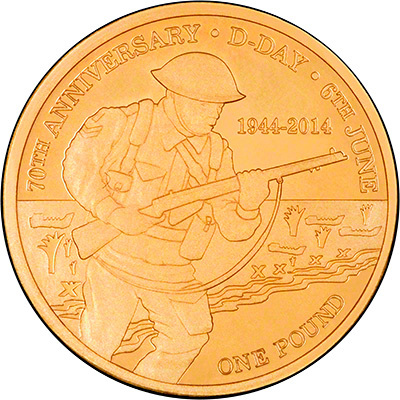 The reverse shows a British soldier landing on the shores of Normandy. 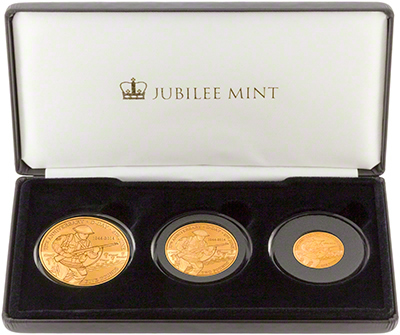 This set is currently available to purchase from the Jubilee Mint's website for £5,499. As you can see from our price, with our premium added, their price is still around 65% higher than ours. 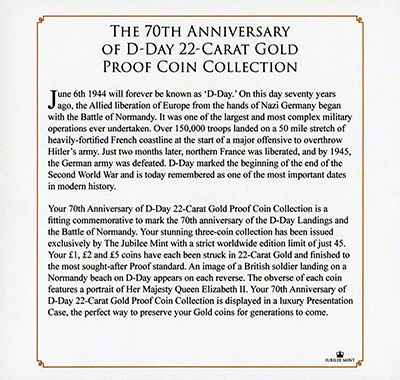 Coin marketing companies often jump on anniversaries and events, creating coins and sets to sell at high prices, as this set shows. Customers are often disappointed when they come to sell to us as we pay a price in relation to the live gold price, but as these sets are often priced well over the gold price, we are not able to offer any where near what was paid for them. Sometimes we recommend our customers attempt to contact the companies they have purchased from, to see if they can return the product, or sell back to them, in an attempt to recover some of their cost. However, Jubilee Mint has this covered, as, according to their website "We currently do not offer a buy back service". They do offer a 30 day guarantee, but once this has elapsed, customers are unable to return their products or sell to them for a reasonable price - perhaps because they do not want to purchase their own stock, as they know it is not worth having? Or perhaps it because they know they have sold at overinflated prices, and do not want to anger their customers - instead leaving us to be the bearers of bad news when they realise their collection is worth a fraction of what they paid for it.